Visit the referral page and click the ‘Start Referring’ button to get started, then fill out your details. This will open the box containing your unique referral code/link, and the options for sharing it. Share with interested friends and family, or just give them your full name – ensuring the spelling is correct. Ensure that they sign up for a new Healthspan account via your link. Once they’ve placed their first order you’ll receive your 20% discount – redeemable on any purchase up to £100. 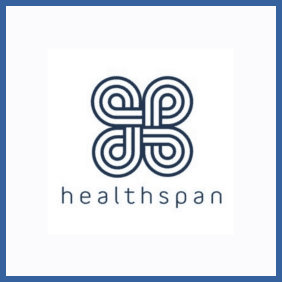 Get a hold of your friend’s unique referral code/link and use this to sign up for a new Healthspan account. Alternatively, check the spelling/format of their full name and provide it during the sign-up process. You’ll receive a £5 discount at this point. Place your first order at Healthspan to unlock your friend’s 20% discount code. Healthspan don’t just want you to be healthy – providing products for active nutrition, skin & hair care and a huge range of vitamins and supplements – but your pets too! Yes; cats, dogs and horses can all get on the fun as well. Whether or not you’ve purchased from Healthspan before you can use their recommend a friend program to give your friend a £5.00 discount on their first order. By means of a thank you you’ll get 20% discount on your next order, whether it’s for you or your furry friend.